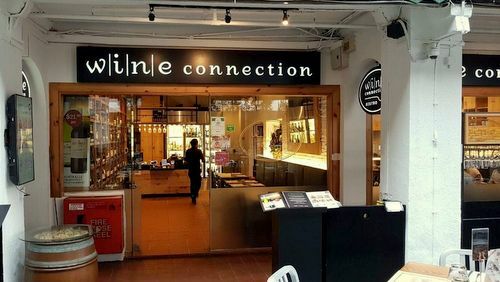 Wine retail chain Wine Connection has a chain of eight bistro restaurants & bars in Singapore, one of which is within 112 Katong mall (112 East Coast Road). Established in 1998, Wine Connection is today one of the leading chains of wine shops and wine-themed restaurants in South-East Asia. Of the locations, Wine Connection Bistro at 112 Katong Mall, for example, features a restaurant and integrated wine shop, a sophisticated yet casual dining experience with a seating capacity for 100 guests – both indoor and al fresco. At the 112 Katong bistro restaurant, you can order from a classic western menu, complimented by an exclusive selection of more than 250 wines imported directly from vineyards around the world, available for dining-in or takeaway. You can also enjoy up to 20 wines by the glass and eight European craft beers, both draft and bottled at the bistro restaurant. mesclun salad, choice of sauce), and Chicken Parmigiana (breaded boneless chicken leg baked with tomato sauce and melted cheese, served with French fries and mesclun salad). Wine Connection has an official Facebook brand page available, located at www.facebook.com/wineconnectionsgp/. There is also an official Instagram account for the restaurant & wine shop brand, at www.facebook.com/wineconnectionsgp/.